The NWT Arts Council was established August 1985, as an advisory board to the GNWT. The mandate of the NWT Arts Council is to promote the arts in the Northwest Territories. The Arts Council provides recommendations to the Minister of Education, Culture and Employment on financial awards for creative artistic projects in the visual, literary, media and performing arts, and on issues and policies associated with the arts and artists. The GNWT policy establishing the NWT Arts Council and its original terms of reference can be found here. The Department of Education, Culture and Employment administers the NWT Arts Council funding program for artistic projects, through the Community Programs Office, Division of Culture & Heritage. Members meet once per year to review applications. The annual budget for financial contributions is $700,000. projects that support a number of individuals (i.e., workshops). 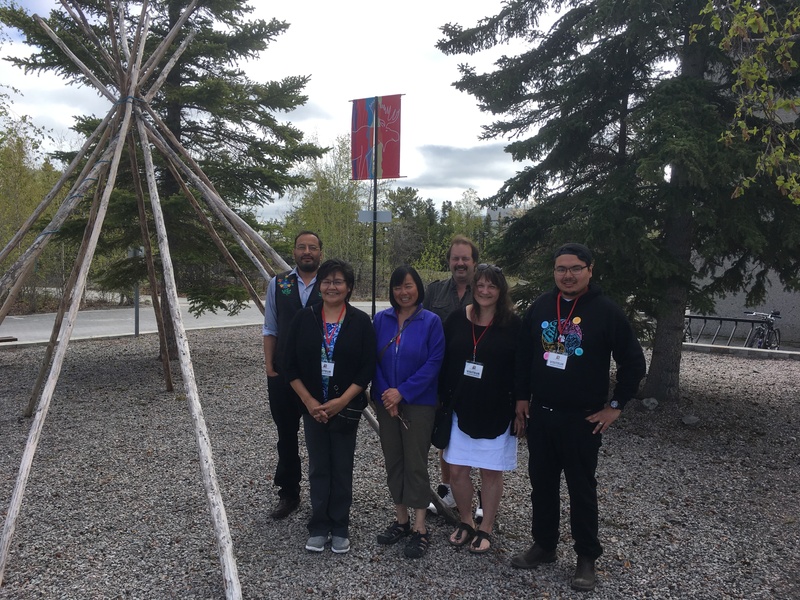 Six members are appointed to the NWT Arts Council by the Executive Council of the Government of the Northwest Territories for a term of two years. Members are selected for their expertise and abilities in the arts from six regions of the Northwest Territories: South Slave, Inuvik, Deh Cho, Sahtu, Tłı̨chǫ, and North Slave. The purpose of creative development funding is to support the personal creative growth of NWT artists. Individual applicants may apply for course fees and travel expenses and NWT organizations may apply for training workshop delivery costs. The purpose of creation & production funding is to support the creation of artistic projects by NWT artists. Individual applicants may apply for project expenses and NWT organizations may apply for workshop costs where NWT artists are directly involved. The purpose of presentation funding is to assist with the presentation of NWT artists' works to the public. Individual applicants may apply for showcase, touring or exhibit fees and expenses and NWT organizations may apply for presentation fees and costs where NWT artists are directly involved. Events must benefit public audiences (e.g. an arts exhibition, film screening, touring author, music concert, dance or theatre production or showcase event). their application is for a specific creative project. The deadline for applications is February 28 each year. The NWT Arts Council reviews all applications. Funding decisions are based on artistic merit and completeness of application. Recommendations for financial assistance are forwarded for approval to the Minister of Education, Culture and Employment. Applicants receive written notification of decisions. Late or incomplete applications are rejected as ineligible for funding. The earliest that funds will be available to successful applicants is approximately 4 months after the deadline. All awards are in the form of contributions, which are accountable contracts. Funding must be spent by March 31st of the following year. On completion of the project, two reports must be submitted: 1) a detailed financial account showing how funds were spent, and 2) a written report about the project. 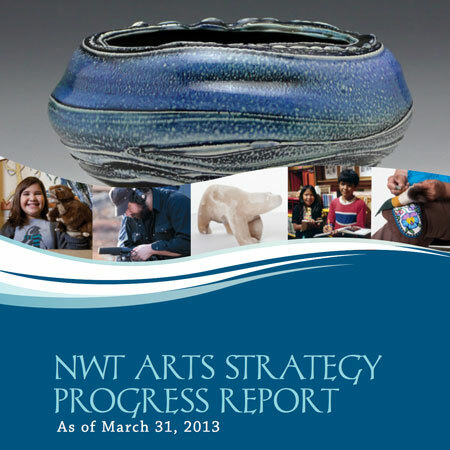 This is the second annual report on progress made toward achieving the goals of the NWT Arts Strategy. The Arts Strategy Action Plan 2 replaces the Action Plan that was part of the Northwest Territories Arts Strategy released in October 2004. It represents the commitment of the Department of Education, Culture and Employment (ECE) and the Department of Industry, Tourism and Investment (ITI) to support the arts sector to achieve a multitude of creative, cultural, educational, social and economic benefits for the Northwest Territories. This Progress report outlines the initiatives, programs and services that have been undertaken to address identified issues and opportunities in the arts sector. This strategy was developed in response to recommendations of the NWT Arts Strategy Advisory Panel. It provides broad direction to guide future programs, services, and marketing efforts to secure the stability of a growing arts sector in the NWT. The Government's response to the NWT Arts Strategy Advisory Panel’s recommendations was jointly prepared by the departments of ECE and RWED and released in July 2003. The GNWT response addressed the Panel’s concerns in each of seven theme areas outlined in the Panel's Report. In 2002, the Government of the Northwest Territories established an Arts Strategy Advisory Panel, which was asked to consult widely in the NWT on arts issues and to develop recommendations on NWT creative arts and cultural industries for presentation to Cabinet. The Arts Strategy Advisory Panel submitted its recommendations to the Ministers of Education, Culture and Employment and Resources, Wildlife and Economic Development in December 2002.